What’s New/Best Seller • SONNY’S Cutting-Edge, Complete Car Wash Management Solution. Advantages/Features • SONNY’S Complete Car Wash Management Solution offers an end-to-end, cloud-based platform starting at the wash’s entrance lanes with digital menus, pay stations, tunnel controller, point of sale, and ends at your fingertips with access to manage your sites, anytime, anywhere. 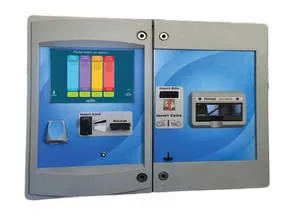 Micrologic Associates is a leader in the sales, installation, and support of point of sale systems, tunnel controllers, auto cashier machines, and RFID systems for car wash and quick lube facilities. Solutions include touch screen POS terminals, wireless hand held devices, and gated pay station systems with multiple lanes. What’s New/Best Seller • Pegasus Payment Kiosk. Advantages/Features • Easy-to-read, touch-screen display allows customers to follow simple instructions and voice prompts to select their services. The machine is able to offer special promotions and a-la-cart menu options providing up-sell opportunities to increase the overall ticket average. Customers can sign-up for a variety of monthly wash plans at the machine, which provides a steady stream of recurring revenue. An optional gift card dispenser can also be included which helps boost sales and create loyal customers. 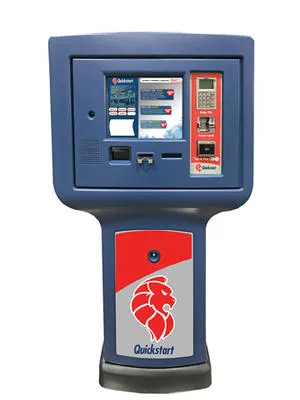 The Pegasus Payment Kiosk offers a full range of payment options including credit card and bill and coin acceptors, and dispenses two types of bills and multiple denominations of coins. DRB Systems, a leading point-of-sale software and business solutions provider to the car wash industry for the past 30 years, has joined forces with Unitec. Unitec’s products combine state-of-the art technology; user-friendly operations; and dependable, rugged construction. The combination delivers the power and energy to lead the car wash industry. What’s New/Best Seller • SiteWatch Growth Suite. 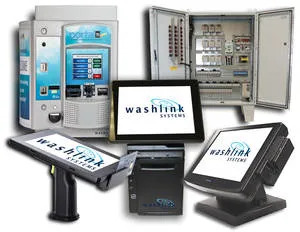 Advantages/Features • The SiteWatch Growth Suite combines monthly recurring billing of wash plans; proven FastPass RFID technology; and the Xpress Pay Terminal, a self-pay station that increases productivity, saves time, and allows customers to control their own transactions. The Growth Suite works for exterior, flex, and full-serve tunnels — wherever you want to allow the customer to self-pay. 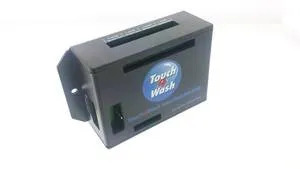 Marketing messages can also be controlled, helping boost the brand and give customers a consistent, positive message about the car wash.
What’s New/Best Seller • Automatic Amplifier with Built-In Test and Diagnostic Features. 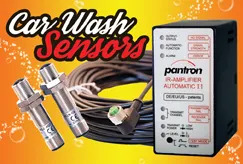 Advantages/Features • Pantron’s infrared photoelectric systems are designed to work in harsh environments and interface easily with computers from all leading car wash manufacturers. Applications include operating as a gate switch to start and stop equipment, opening and closing automatic rollup doors, measuring the length of vehicles, and also starting and stopping blowers. Pantron’s photoelectric sensors with quick connectors provide a fast installation and maintenance solution. The sensors are rated IP67 and are designed to penetrate steam, fog, ice, soap, and dirt. The automatic amplifier has built-in diagnostic features to assist with alignment of the photo eyes and to pinpoint problems with the sensors. No need to replace both photo eyes when the Pantron system can diagnose the problem. The Exact One family of products allows the car wash owner to customize their solution to their needs. Its simple solution allows for the addition of a fully PCI compliant credit card system to any existing system. The solution accepts all major credit cards and allows a wash to accept custom-branded loyalty and gift cards. The addition of an Excel teller and RFID system can streamline an automatic and tap into the potential of monthly recurring revenues. A Paymaster marketing system allows the wash to dispense custom branded gift cards and can help convert vacuums from a cost to a profit center. What’s New/Best Seller • Advanced Payment Options. Advantages/Features • Exacta’s newest line of products now accepts all payment types including Android Pay, Apple Pay, along with custom branded gift cards. A new phone app, specific to the wash, is available with both loyalty and reward point programs and GeoFencing marketing capabilities. The Exacta system is a completely integrated system for the self-serve and tunnel market. Customer/Operator Support • Support available toll-free year round. eGenuity is a developer of high-tech, point-of-sale software solutions. 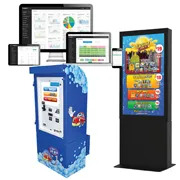 ezWash (car wash), ezKiosk (kiosk with gated entry and RFID), and eLube (quick lube) all feature integrated marketing products (SnapStorm) that are designed with business success in mind. eGenuity now supports customers across the U.S., Canada, and South America. eGenuity offers a powerful and affordable point-of-sale software solution and is the point-of-sale solution for thousands of users worldwide. Advantages/Features • Complete software and hardware solutions for wash, lube, and multi-store chains. Carolina Pride Carwash Systems and Solutions has been providing car wash operators throughout North America with industrial grade wash systems for over 50 years. Carolina Pride offers many services, including car wash payment and management systems, Turbo Dry™, Performa™, Express, and the newest OPTIMAX Series of self-service wash equipment. In addition, the company offers tunnel solutions equipment, spot-free rinse systems, motor control centers, vacuum stanchions, and an online car wash academy. What’s New/Best Seller • Mercury Global Vision. Advantages/Features • The Mercury Global Vision is an all-in-one solution for the payment management and operation of a car wash system. The system processes transactions on wash bays, automatics, vacuums, and is managed through an easy-to-use web interface. The system accepts a variety of payment types from credit cards, bills, coins, key codes, VIP cards, loyalty cards, and more. It supports multiple car wash locations, and allows the owner to log in and get detailed reporting on revenue. Wash card customers and fleet card owners can log in to review their wash card balance, transaction history, preload their cards, and receive special offers. Two editions exist to meet operator needs, the compact standalone edition and the full featured cloud edition, each with specific benefits and features. What’s New/Best Seller • 11 New Products. Advantages/Features • As the industry’s leading technology provider ICS is committed to developing the next generation of car wash technology that will help take car wash operations to new heights. 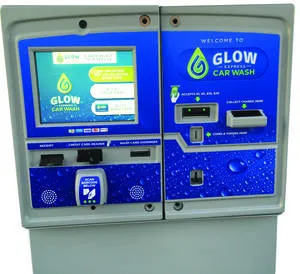 The company’s commitment to innovation has resulted in 11 new products designed “for” car wash operators “by” car wash operators, and provides operators with access to exciting new advances in car wash technology. Advantages/Features • Next Level recurring billing from Washlink is the most powerful and operator friendly platform in the car wash industry. User customizable features include the ability to prorate payments to the date of your choice, loyalty rewards to aid retention, seasonal pricing, and promotional sign-up rates. Industry exclusive Decline Minimizer automatically updates customer card changes, dramatically increasing administrative efficiency and customer satisfaction. The Cutting Edge EMV compliance program is a true EMV compliant POS solution at a surprisingly affordable cost. Touch4Wash is more than an app, it’s a tool to help grow your business. Advantages/Features • Touch4Wash offers mobile payment and activation options for the automatic and self-serve bays and customer service tools. The system offers mobile marketing solutions via text marketing. 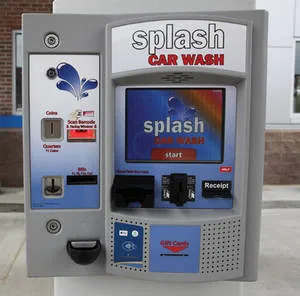 Touch4Wash is also equipped with the ability to include your automatic and self-serve bays in your loyalty and membership programs. Touch4Wash’s built-in remote activation reduces the hassle of customer service. Simply activate the equipment from wherever you are to ensure the best experience for the customer. The system is simple to install and upgrades a wash to offer leading technology and convenience for customers. Price • $500 per interface module. Each module will operate one automatic or four self-serve bays. Washify was founded around the idea that integrating a POS with a marketing system will attract new business and get current customers to wash more often. In order to run a successful car wash in today’s competitive environment you need to take advantage of modern marketing tools — such as an integrated smartphone app, e-mail marketing, texting, and a user friendly website. Washify has an easy-to-use POS system and pay station that integrates with most controllers. What’s New/Best Seller • Washify Pay Station, Mass E-Mail Marketing, and Gas Pump Integration. National Carwash Solutions (NCS) is one of the largest providers of friction, touchless, and tunnel car wash systems in North America. NCS offers integrated, end-to-end, clean vehicle solutions including car wash equipment, accessories, parts, and connectivity under the Ryko and MacNeil brand. Advantages/Features • NCSTrax is a cloud-based comprehensive car wash portal. Car wash operators will see insights into their car wash business like never before. Virtual real-time data, customized dashboards, and suites of reports are available to customers via laptop or mobile. Solution benefits include: complementary access for premium service customers; run data analytics to identify trends and problem areas; ability to proactively maintain equipment; keep equipment up and running for increased profits; and manage the wash from anywhere, anytime. 1500 SE 37th St., Grimes, IA 50111.